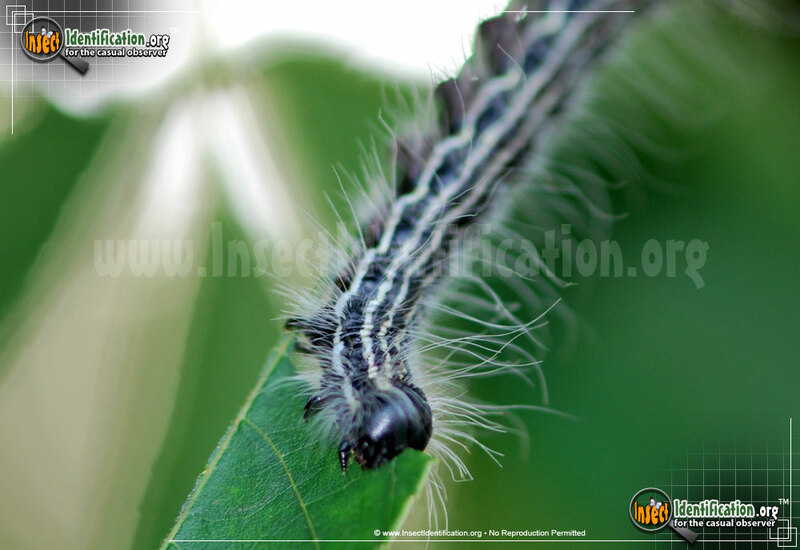 Detailing the physical features, habits, territorial reach and other identifying qualities of the Angus' Datana Moth. 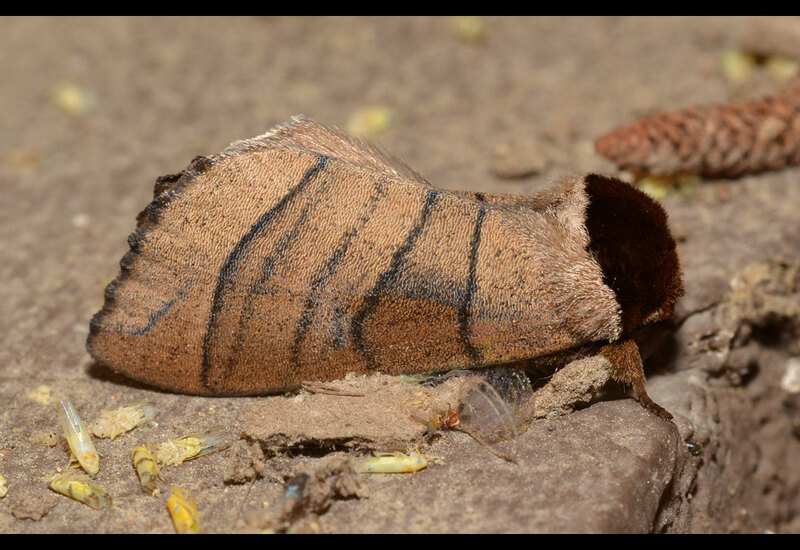 Angus' Datana Moths are a fine example of how the larval form of an insect can look completely different from its winged adult. Angus' Datana Moth adults could be mistaken for a dry, curled leaf. They are brown and have thin, dark lines running across the body that almost mimic leaf veins. A dark, fuzzy patch of hair on above the head is reddish-brown in color. From a distance, this dark patch appears like the inner shadow of a curled leaf. This species can be found on oak, willow and other trees, so blending into the trunk is an advantage. Their caterpillars are completely different in color and appearance. It is a wonder they are the same species. 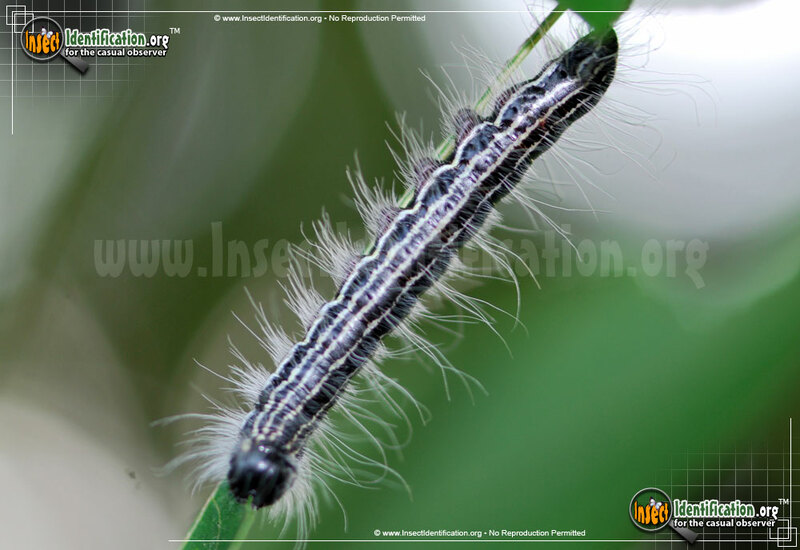 The caterpillar is black with a black head and neck. Bright, thin white lines run along the entire length of the body from head to rear. Tufts of white whiskers extend from the body in each segment. They feed on the leaves of apple, oak, birch and willow trees and can be found anywhere these trees are growing.